Queen’s 1981 “Greatest Hits” package has been named the best selling UK album of all time, according to The Official Charts Company. Topping a new list of the Top 60 biggest UK records in sync with this month’s 60th anniversary of the Official Albums Chart, the project stands alone as the first and only album to have sold over 6 million copies in the UK, with 6.1 million sales to date. "What a great bit of news to wake up to! ", says guitarist Brian May. “The most popular album? Well, I always thought the band showed promise, but this is beyond our boyhood dreams! Thanks folks!" Drummer Roger Taylor added: "Incredible... marvellous... humbling... thank you... I feel good!" 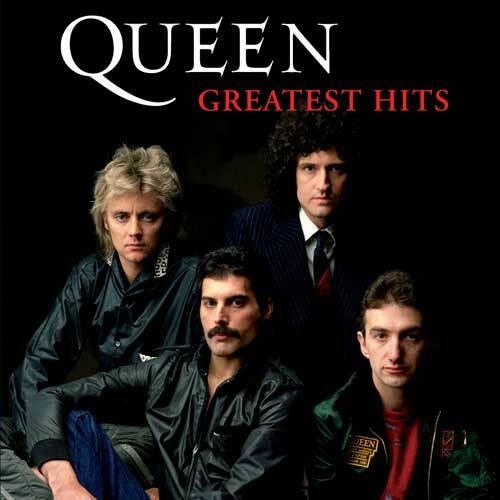 With almost 4 million copies sold, Queen’s 1991 set, “Greatest Hits II”, also landed at No.10. Queen and Adam Lambert recently completed an extensive 6-week trek of Europe following the tour’s May 20 launch at Rock In Rio in Lisboa, Spain.